The inhabitants of John O'Groats may have reached for the Clearasil when put on the spot but for the citizens of Denny the Plook-on-the-Plinth trophy holds an altogether more favourable complexion. 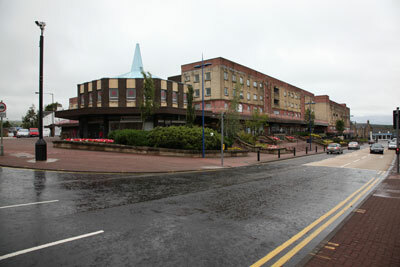 Despite meriting a special mention in the annual hunt for Scotland's most dismal place residents of the Stirlingshire town were pipped to the post by their disfigured northern cousin, but that hasn't stopped an enterprising group of residents from clubbing together to offer a welcome home for the award no-one (until now) has wanted. It was an impassioned cry for help which the Carbuncles team was loathe to refuse and is why we're pleased to announce that Denny is to be given the honour of providing a loving home for the trophy in John O'Groats stead. Carbuncles spokesperson John Glenday said: "It's never been simple finding a willing recipient for our bulbous pimple, so to have such eager solicitation for it really is unprecedented. Clearly the people of Denny are seeing red following the procrastination and reneged promises surrounding the forever mooted redevelopment of their disgraceful town centre, so what better way to manifest that anger than to take possession of our bright red blemish? Glenday added: "We have always been at pains to stress that although, on the face of it, this trophy is an unwelcome sight, it should in fact be harnessed as a force for good. Our Plook will provide Denny with just the catalyst to action it needs in order to spur Falkirk Council into action and articulate their plight to the wider country. 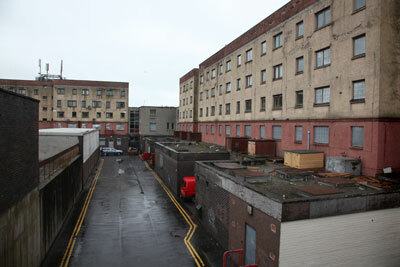 We are pleased that the people of Denny agree and will be doing all that we can to assist them in those aims." 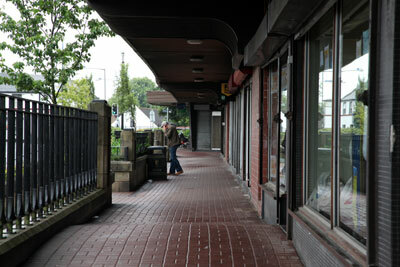 Urban Realm, promoter of the Carbuncles, is teaming up with local residents Brian McCabe and Sharon Tait to raise awareness of the deteriorating condition of Denny town centre and the stalled plans for its redevelopment.